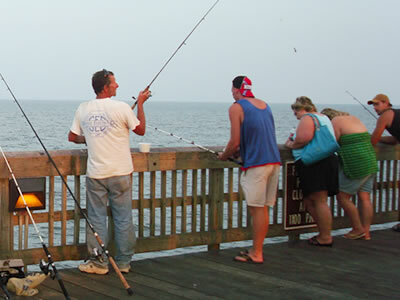 Tybee Island Guide - The Official Website of Tybee Island, GA. Tybee Island Hotels & Accommodations, Restaurants, Attractions, Fishing, Weddings, Entertainment, and more! Often referred to as "Savannah's beach," Georgia's barrier island is a casual beach town that is full of charm and personality, maintaining a laid-back lifestyle and unhurried pace that make it a special destination year-round. 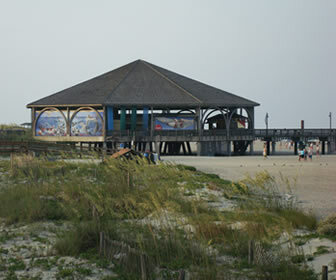 Tybee Island, Georgia, is a barrier island on the Georgia coast, 20 minutes east of Savannah. Offering a laid back lifestyle within an unspoiled habitat, Tybee has miles of beaches, salt marshes, and other natural resources and wildlife to explore, including sea turtles, endangered birds, and nature trails for hiking. 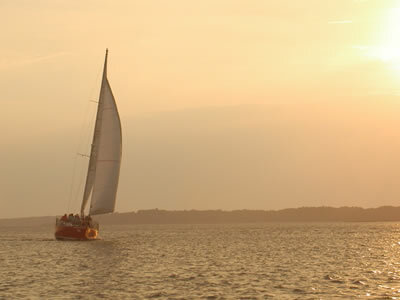 History and culture buffs will enjoy Fort Screven, Fort Pulaski, Tybee Museum, the Tybee Light Station and Cockspur Lighthouse, and nearby Savannah. 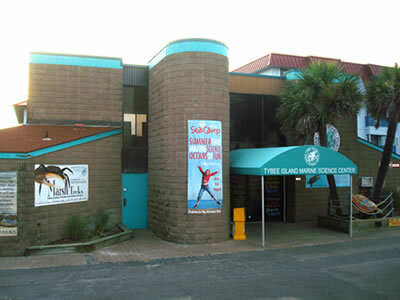 There's also the Marine Science Center, Tybee Pier & Pavilion, and Little Tybee Island to Explore. 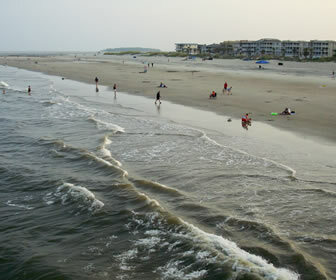 Tybee Island was recently named the "Best One Tank Trip" by the Atlanta Journal Constitution, "Best Beach Retreat" by Atlanta Creative Loafing and "Best Beach" by Georgia Magazine. Tybee Island, GA is a well-kept secret among vacationers, often overshadowed by its more popular (and touristy) neighbors of St. Simons Island, Hilton Head Island, and Jekyll Island. 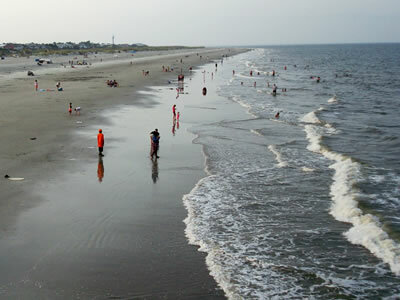 Tybee does perhaps move to a slower pace, but with all the amenities including fantastic beaches, charter fishing, kayaking and canoeing, golf, shopping, spas and salons, and a variety of restaurants, bars and taverns and more to make your stay fun and relaxing. 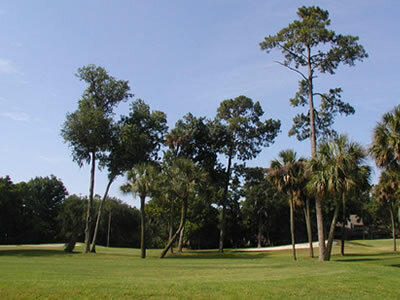 While there are no golf courses located on Tybee Island itself, nearby Savannah, Georgia is home to more than 30 golf courses within a 30-minute radius from Tybee. 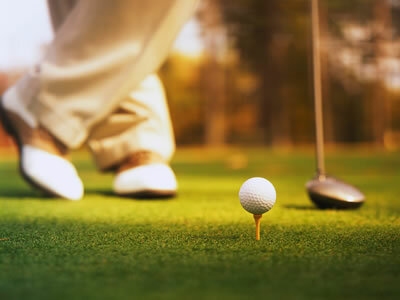 From lush country clubs to scenic and challenging public courses, there's a golf course for any handicap. You don't have to drive far, to drive far. 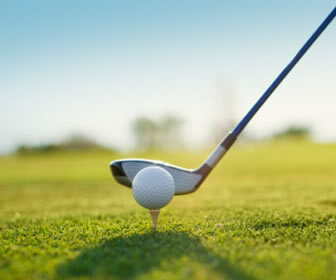 Book Your Golf Tee Times Online..
You can now SAVE UP TO 65% and book your tee times for dozens of Savannah and Coastal Georgia golf courses and country clubs right here on our website through our partnership with Golf Channel Online. Accommodations on Tybee Island include unique hotels, vacation homes and rentals, condos, bed and breakfasts, campgrounds and RV parks - all located within walking distance to the beach. Most are small, independent properties that have all of the coastal Georgia lifestyle charm and style that has intrigued vacationers and locals alike for many years. Nearby Savannah is an historic town full of Southern charm and a downtown filled with world-class hotels, resorts and places to stay during your visit to Coastal Georgia. Be sure to visit Southern Belle Vacation Rentals for the largest assortment of Savannah and Tybee vacation rentals, homes and properties. Through our partnership with Booking.com, we've made it easy and affordable to find and book your hotel, vacation rental home, condo or apartment right here on our website. All reservations are guaranteed through Booking.com which offers Book Now, Pay Later convenience and Price Matching service so you know you're getting the best deal at the best price. The Booking.com reservation system gathers the best deals from hundreds of local hotels and rental properties and makes them available to you all in one spot, saving you time and money. 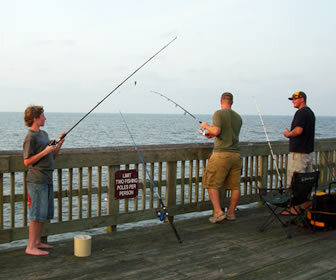 Cast your rod and reel into great fishing on Tybee Island, with plentiful deep sea fishing charters, dolphin sightseeing tours, saltwater fishing tours, and good old fishing off the Tybee Pier to keep you busy. 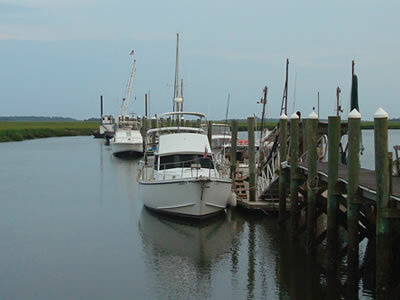 We've compiled a directory of local fishing charters on Tybee Island and nearby Savannah, as well as dolphin tours and boat charters, marinas and videos of water excursions. Tybee Island's terrain is relatively flat and the island itself is only 4.5 miles long, so bicycyling or walking are the best ways to easily get around, especially when you've got warm ocean breezes at your back. There are a number of bicycle shops and dealers on Tybee that can offer you bike rentals, bicycle repair and service, and everything you need to keep your wheels turning. 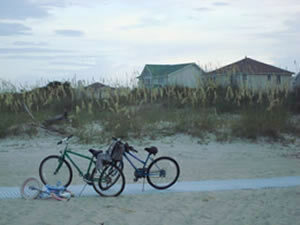 Bicycling on the beach is a popular pasttime, and the wide, open beaches of Tybee make for a great time playing in the sand and surf. 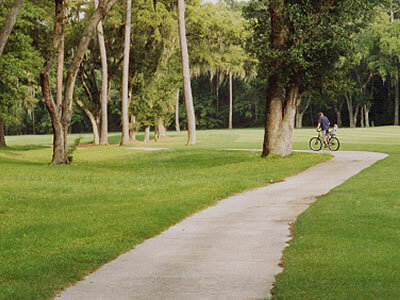 There are plenty of natural trails and scenic pathways for visitors to explore Tybee's pristine environment. 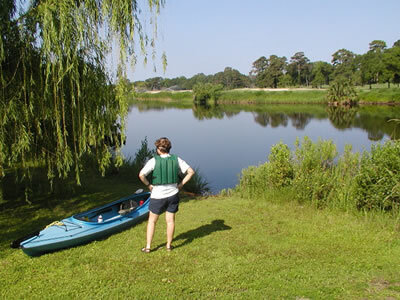 Located just off Highway 80 (the main road onto Tybee) are easy-to-walk nature trails winding through an ancient maritime forest and wetlands area, with a variety of bird species, dolphins and other noteworthy siteseeing adventures. Fort Pulaski and the surrounding areas offer an excellent place to spot migratory birds from spring to fall. The salt marshes and upland areas of Fort Pulaski National Monument support many species of wildlife. If lucky you may catch a glimpse of one of the 11 Protected Species that have been identified at the park. These are: American oystercatcher, bald eagle, gull-billed tern, least tern, loggerhead sea turtle, manatee, peregrine falcon, piping plover, swallow-tailed kite, Wilson's plover and woodstork. Nature trails and the old railroad trail are all near Highway 80, with bike rentals available. Accessible only by boat, Little Tybee Island is an unspoiled, uninhabited nature preserve. 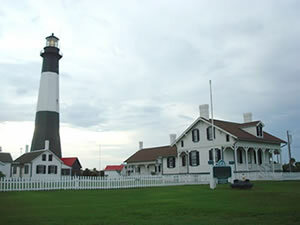 Visible from the south end of Tybee Island, "Little" Tybee is actually more than twice Tybee Island's size. 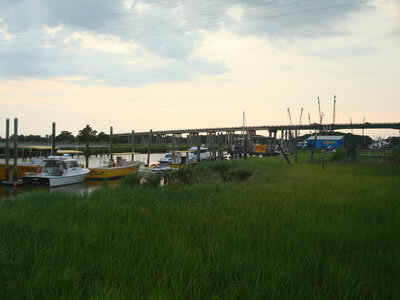 Between the islands is Tybee Creek and Inlet. Williamson is at the southern end of this island complex, and its southern end looks over to Wassaw Sound and Wassaw Island about 4 miles away. 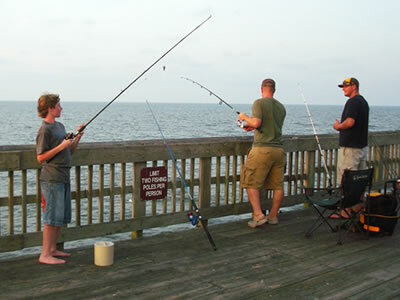 Little Tybee Island is located south of Tybee Island, and its size is 6,780 total acres including marsh. It is home to a number of endangered species of birds. This unique wilderness preserve is abundant with rich coastal salt marshes; pristine beaches; natural dunes and subtropical forests of live oak, pine, and palm. Wildlife includes egrets, herons, white ibis and the endangered woodstork. Roseate spoonbills, ospreys and bald eagles are also often seen. 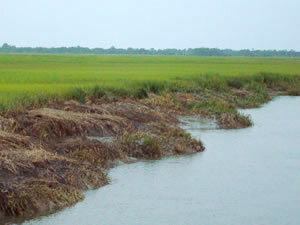 Natural communities on the islands include tidal creeks, salt marsh, hammock, and beach. Spartina is found in the marshes, while maritime forests of Live Oaks, cabbage palms, and saw palmetto are found on the upland sand ridges. 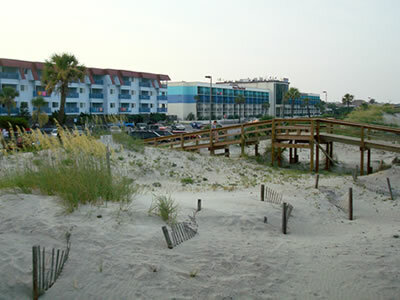 Pines, cedars, and wax myrtles colonize the high ground, and dune plants and sea oats are found trapping blowing sands and growing the dunes. In 1855, the government approved building Fort Screven on the north end of Tybee to provide modern seacoast defense. Six poured-concrete, low-profile gun batteries (named for war heroes) and a minefield were ordered for Tybee along with hundreds of other military buildings. 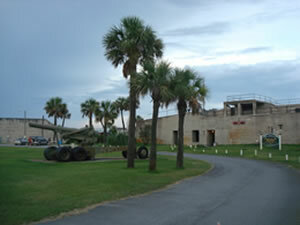 From 1897 to 1947, the fort was an integral part of America's Coastal Defense system. Troops stood guard on Tybee through the Spanish American War of 1898, World War I and World War II. 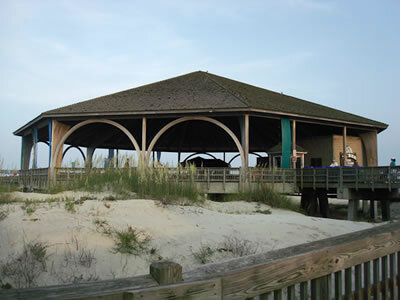 In 1947, the Fort was closed and sold to the Town of Tybee and tourism returned as a major part of Tybee's history.